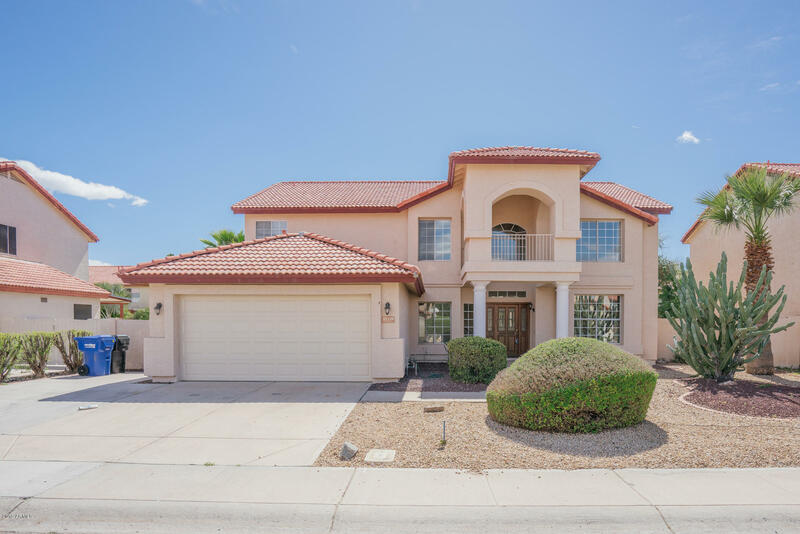 All Avondale homes currently listed for sale in Avondale as of 04/25/2019 are shown below. You can change the search criteria at any time by pressing the 'Change Search' button below. 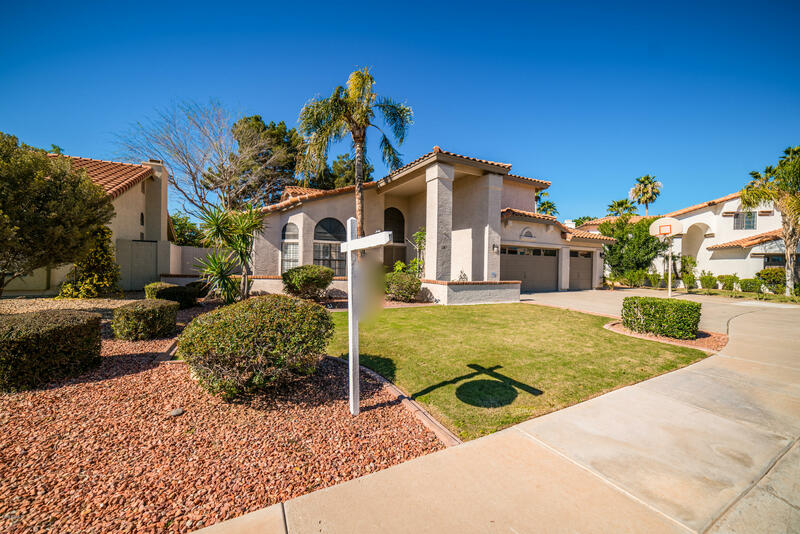 If you have any questions or you would like more information about any Avondale homes for sale or other Avondale real estate, please contact us and one of our knowledgeable Avondale REALTORS® would be pleased to assist you. "Waterfront Luxury in Garden Lakes on Huge Corner Lot! Completely Updated with New Two Tone Exterior Paint, New Wood Floors in Master, Family Room & Staircase. Updated Eat-in Kitchen with Breakfast Bar, Stainless Steel Appliances, Tile Back-Splash & Granite Counters. Separate Living Room & Formal Dining. Spacious Family Room with Soaring Ceilings & Dramatic Stone Fireplace. Downstairs Master with En Suite & View of Pool & Lake. Upstairs has Loft Living Area that Opens to Outdoor Balcony. Enjoy"
"This beautiful home has been nicely upgraded throughout. It features formal living and dining room, family room with fireplace and 1 bedroom and bathroom downstairs. Upstairs has a generous master bedroom with bay window, exit to balcony and master bathroom with separate tub & shower and double sinks. Attached bedroom could be an office, sitting room or separate bedroom. This house is ALL about the backyard. Resort living at its finest. Lake property with private dock, diving pool and spa accent"
"Rare lakefront opportunity in Garden Lakes awaits you! This Pulte home offers lakefront living at it's finest. Boat Included on strong offer. Whether you are enjoying a warm afternoon on your boat or fishing from your backyard, this is a dream come true! Boasting 4 bedrooms and 3 bathrooms, this 2-story floorplan offers a spacious 3,311 square feet of livable space. 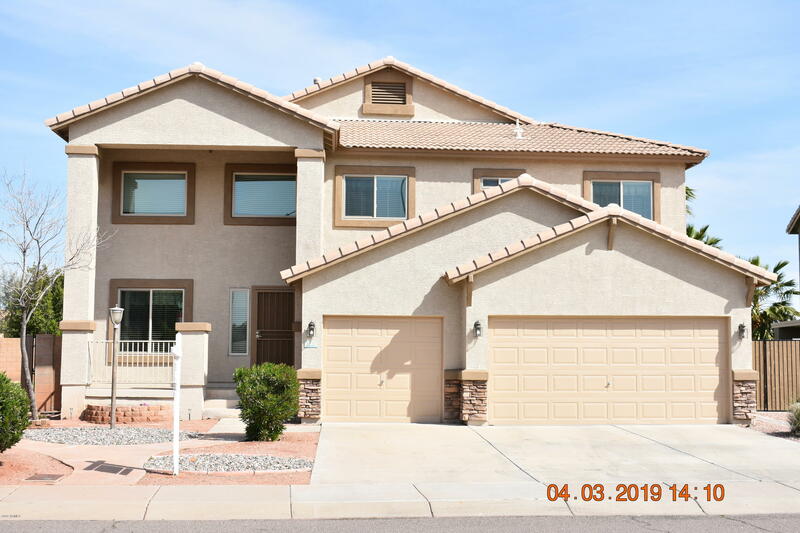 The soaring vaulted ceilings and ample windows allow natural light to pour in, glistening on the upgraded tile and wood flooring th"
"Bring your buyers to see this beautiful home. Walking in to spacious formal living room with wooden floors and stairway leading to an open loft. 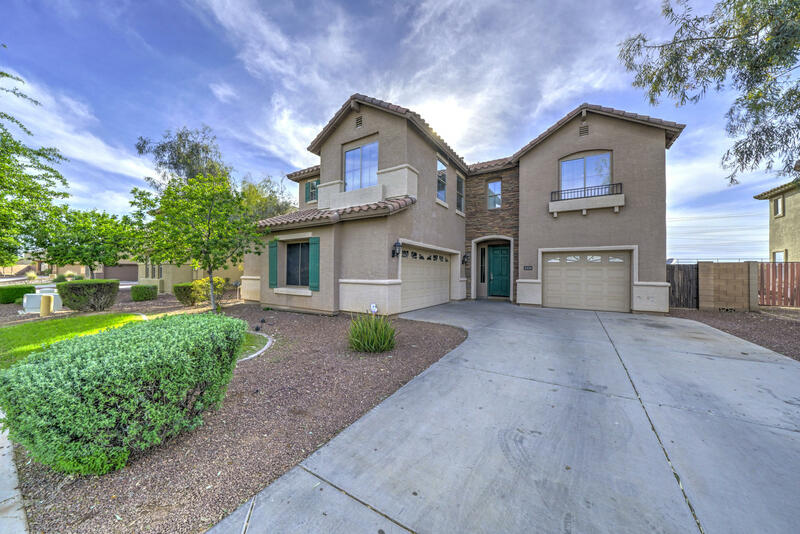 Large family room opens to a big kitchen with a huge pantry and granite counter tops. (plenty of room for entertaining) This great floor plan has a huge master bedroom with a large walk in closet and sizable bedrooms. 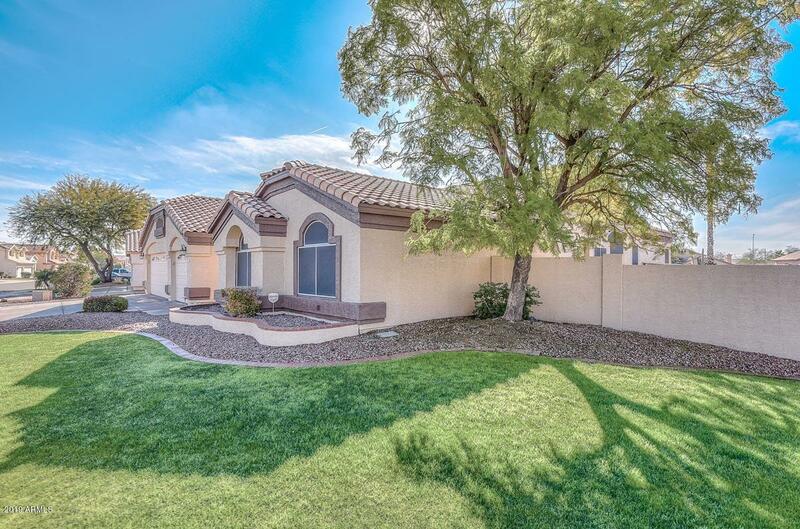 Plenty room for your toys with 3 car garage, plus RV-Gate to accommodate additional Vehicle Parking, and 3 car driveway. This home "
"Check out this AMAAAZING property in the beautiful community of Garden Lakes!This gorgeous lakefront property features 4bedroom, 3 bath, pool, and a gorgeous beautiful serenity view of Garden Lakes lake, and SouthMountain views from the Master patio upstairs. 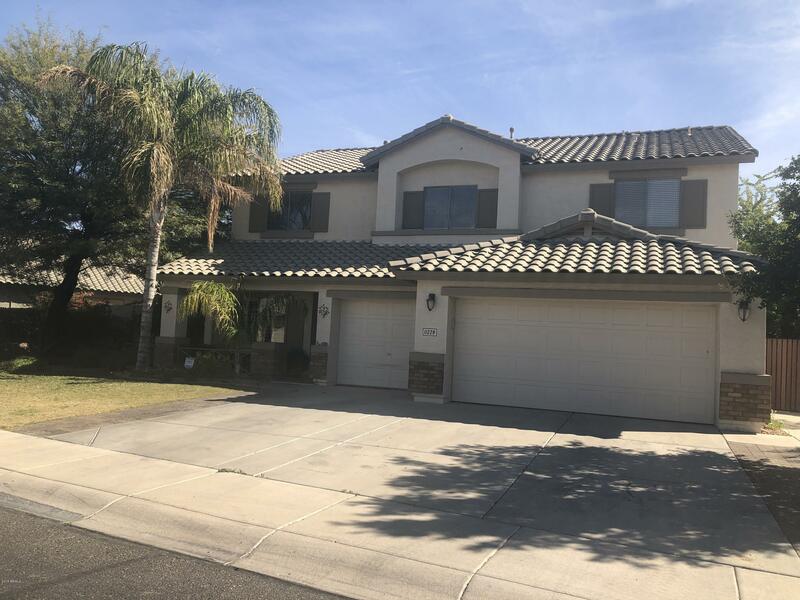 This home has been beautifully remodeled, freshly painted, new roof, Pool has been replastered, new carpet, large wood tile flooring, Quartz counter tops, GORGEOUS master bath with tile floor to ceilings, cabinetry in the garage, a water so"
"SINGLE LEVEL, 3 CAR GARAGE, AND POOL! 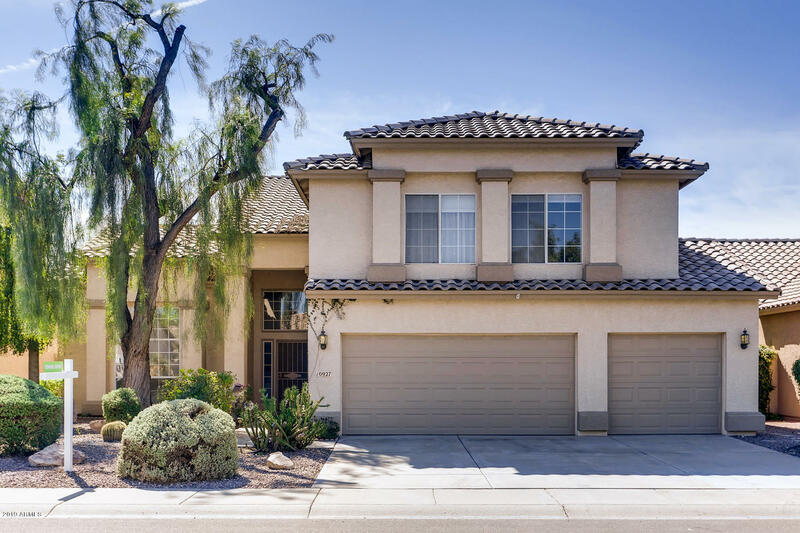 Located in the well regarded Rancho Sante Fe community, this quiet home is just a few minutes from Interstate 10, shopping, eateries, Movies, Luke AFB, Cardinals Stadium, Spring baseball and several job corridors. Downtown Phoenix is only 15 miles drive, with Diamondback's stadium, Suns Basketball, Phx Symphony and many other cultural events. 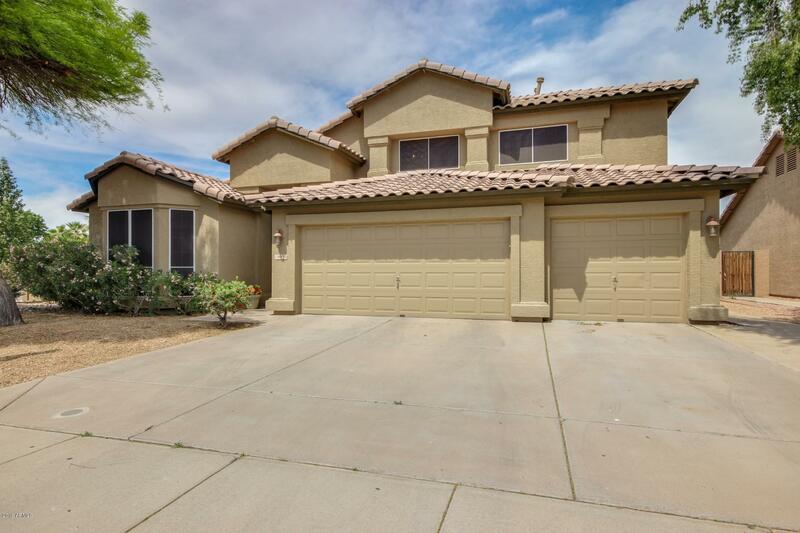 This fantastic home is in the Tri City area of Avondale, Litchfield Park and Goodyear. Come see this well appoint"
"LAKEFRONT HOME with Spectacular Views! This home has been upgraded galore, SOLAR PANELS already paid for, kitchen features a large chef's island, high-grade granite slab c-tops, under mount sink and stainless appliances, large pantry Master showcases a walk-out balcony overlooking the lake, and the brand new and sparkling play pool for those summer days, separate tub and shower, dual vanity, and a walk-in closet! 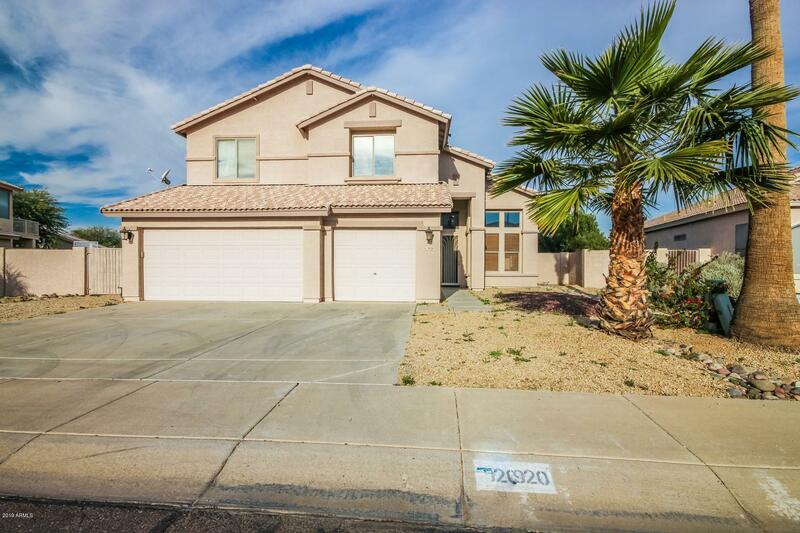 20'' tile, new light fixtures and fans, sec system, upgraded interior doors w/"
"Rare Single Level Move-In Ready Home with a Pool! This beautifully appointed Regatta model features a popular modern open floor plan, new inside and outside lighting & ceiling fans, two tone custom paint throughout, quartz counters, updated cabinetry, and plantation shutters. 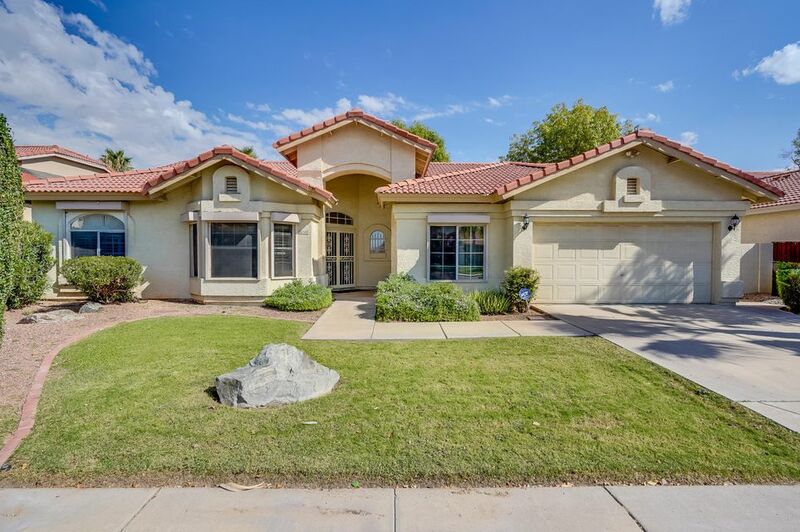 There's plenty of space to entertain, with just under 3,000 square feet of living space, 5 bedrooms, 2.5 baths, and an oversized North/South Corner Lot. Relax in your Background Oasis with Sparkling Salt Water Pebble-Tec Po"
"This home has it all. It's an entertainer's dream with over 3500 sq ft! Large spacious family home with 4 bedrooms, 3 bathrooms, separate office, large loft with included pool table and accessories, opens up to a beautiful balcony with amazing views.The private backyard oasis boasts a sparkling pool with no neighbors behind you, large covered patio and RV gate.The spacious gourmet kitchen with huge island is perfect for gatherings, as it opens up to the large family room. 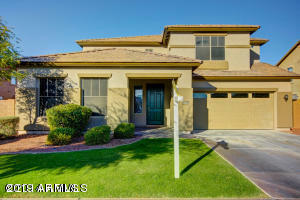 Cozy up in the large f"
"This rare find in upscale Garden Lakes will captivate you the minute you walk through the door! 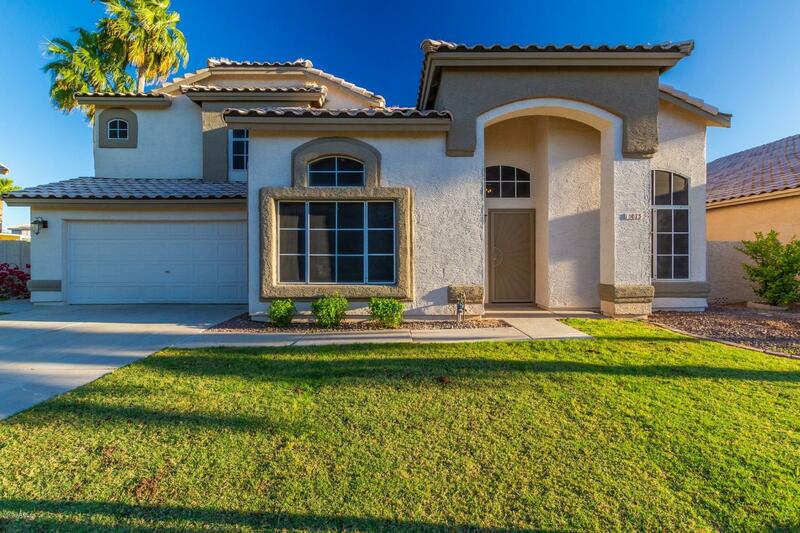 Living is easy in this 4 bedroom home with the master bedroom located downstairs. Light and bright with soaring vaulted ceilings in the entire downstairs! The open concept, spacious family room and large windows throughout make this space a dream for entertainers. 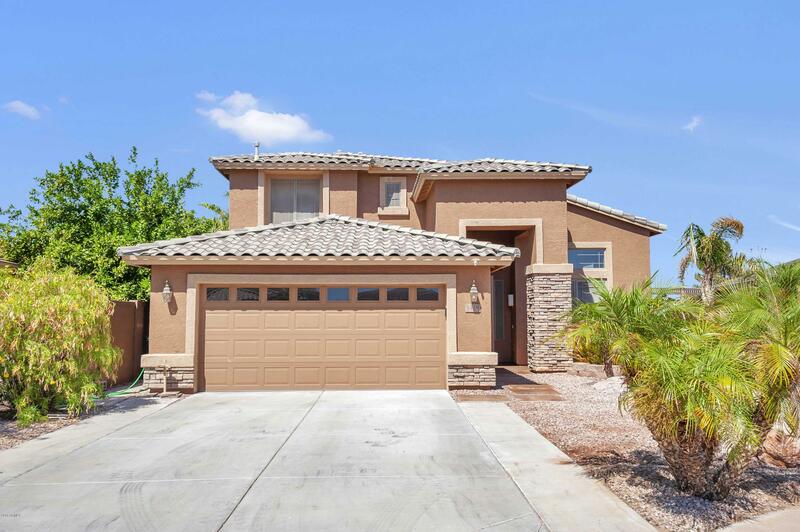 The kitchen is the center of the home with a gas stove, staggered cabinets, an oversized breakfast nook with custom cabinets and bay window"
"This SUPER GARAGE home is rare with so MANY UPGRADES. RV GARAGE * RV GATE, PAVERS, concrete extension to back yard. 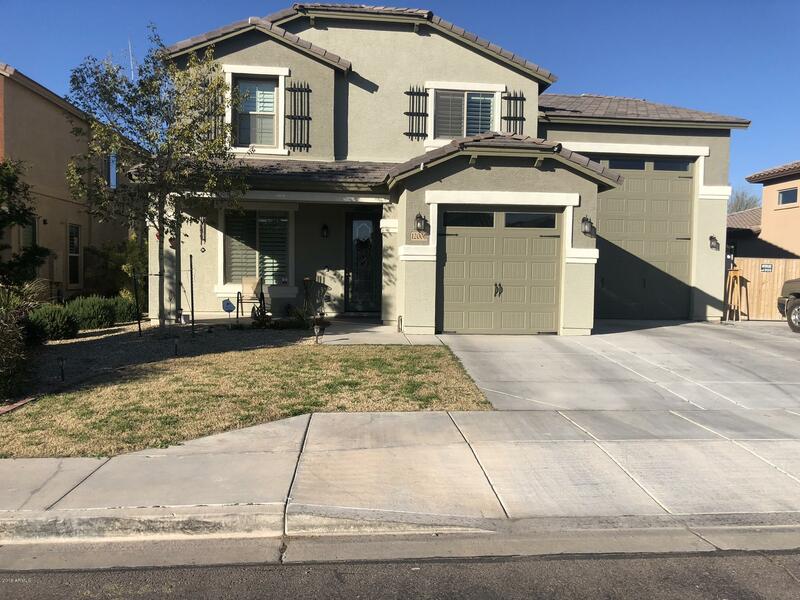 Drive Through Garage * Home has modern paint, White clean Shutters throughout, upgraded light fixtures throughout home, *soft close cabinets *den with french doors, downstairs powder room *Chocolate Berber carpet, Custom railing, Loft upstairs is dynamic and can be converted to another room. Roomy bedrooms and double vanity in guest bath. Master bedroom is luxurious. Vanity in bat"
"Gorgeous 5 bedroom, 3 bath home with a grand entrance, high vaulted ceiling and wall cutouts. The main living room area has a huge additional loft overlooking the front entry. This is a lightly lived in home as the owner lives out of state. As you tour this property you will see 24 new, Feb. 2019 low-e windows costing over $16K. The kitchen shows upgraded cabinets with granite counters & pantry. The main livable areas shows neutral tile for easy cleaning. Additional features include water s"
"WOW! 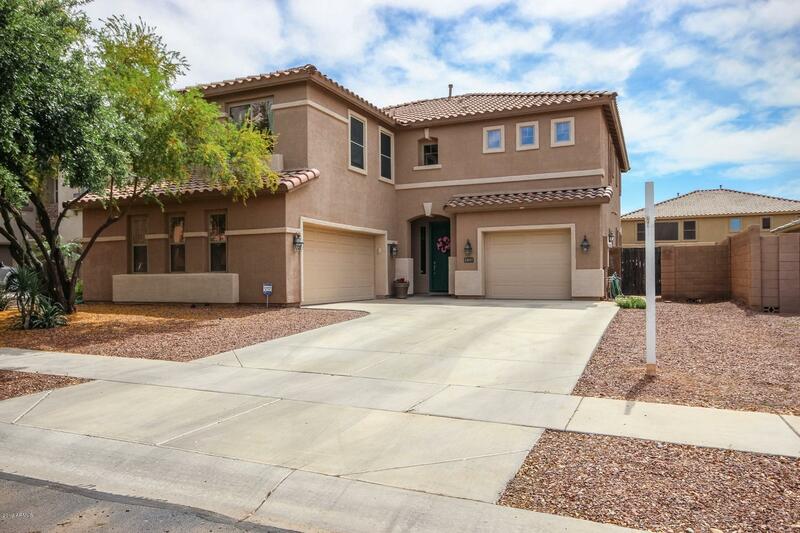 THIS IMMACULATE HOME HAS EVERYTHING YOU'RE LOOKING FOR. MAIN FLOOR HAS BRIGHT OPEN CONCEPT KITCHEN/FAMILY ROOM, LIVING/DINING ROOM WITH 20' CEILINGS, GUEST BEDROOM/BATH AND BONUS ROOM. KITCHEN FEATURES ALL APPLIANCES, GAS STOVE TOP, ISLAND AND GRANITE COUNTERS. BEAUTIFUL STAIRS LEAD TO THE UPPER LEVEL WHERE YOU WILL FIND A VERY LARGE MASTER SUITE, BATH WITH TUB AND SHOWER, LARGE WALK-IN CLOSET. THERE ARE THREE MORE BEDROOMS AND THE 3RD BATHROOM ALSO LOCATED ON THIS LEVEL. STEP OUTSIDE TO A "
"Welcome to San Villagio by Newmark Homes, a gated enclave of 34 single-level homes on large lots. Impressive landscaped common areas and entry gate. All homes are north/south facing. Choose from 5 plans ranging from 1970-2455 sq ft (3-5 bedrooms) all with 2-3 car garages. Open Great Room plan. 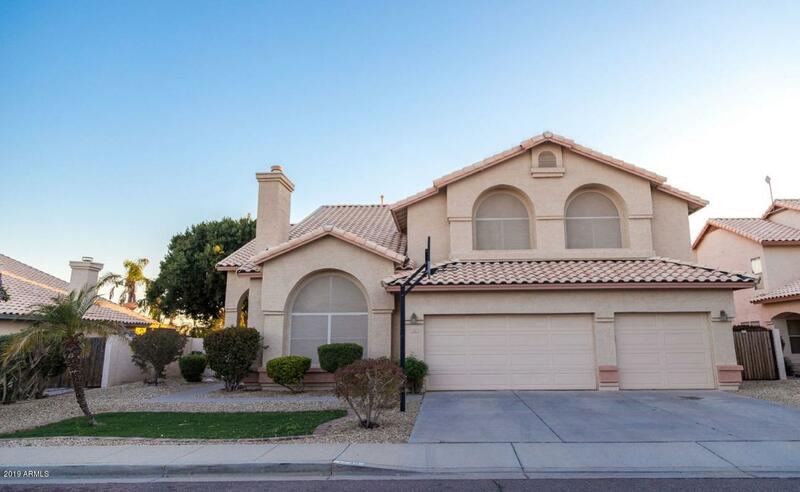 8' entry doors, 9' ceilings; Bright, open plan with oversized kitchens with islands, granite counters. Energy-efficient design. Covered patios, lots of windows and light. Choice of 3 exterior elevations wi"
"Beautiful Garden Lakes Community. 5 bed room 3.5 bath, 3 car garage and a pool. High 10 foot ceilings. Large open kitchen floor plan with marble counter tops, breakfast bar, bay window in the kitchen.One bedroom with full bath downstairs, game room,. Master bedroom with large his/her walk in closets, separate shower&tub, dual sinks. 20X20 ceramic tile flooring. New water heater, home warranty of 22 months left on the the policy. Reverse osmosis, covered patio. North/South exposure." "This BEAUTIFUL Home has just been added lots of upgrades. Upon entry, you are greeted by a beautiful 8'' x 36'' wood like tile. dual and wood staircase on white tone. On your right you emerge into the great open space on the living room, followed by the formal dining place, and finally the family room. The open space between the Family room and the kitchen makes this home to look huge but also homey. Next to the kitchen you can still enjoy family gathering for breakfast or lunch. Or you can "
"Stunning home on a uniquely large lot! 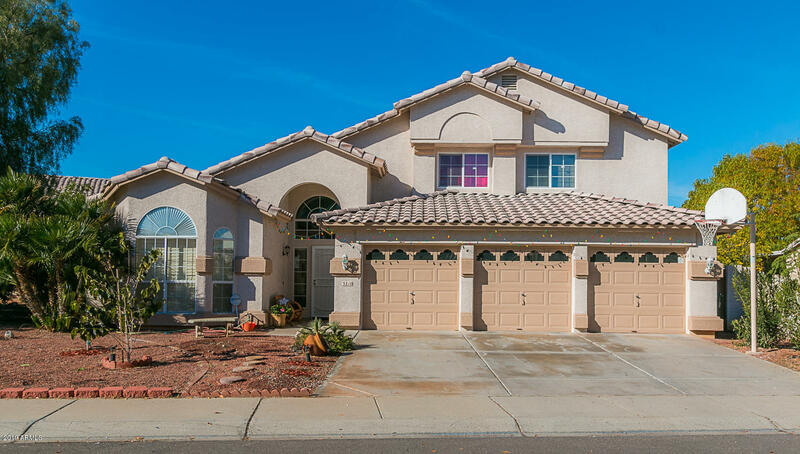 This exquisite home boasts beautiful upgrades! Wood-tile plank flooring, vaulted ceilings and neutral palette combine to create this pristine home. This perfect kitchen is complete w/ granite countertops, stark white cabinetry and stainless steel appliances. Loft living space is always a bonus! 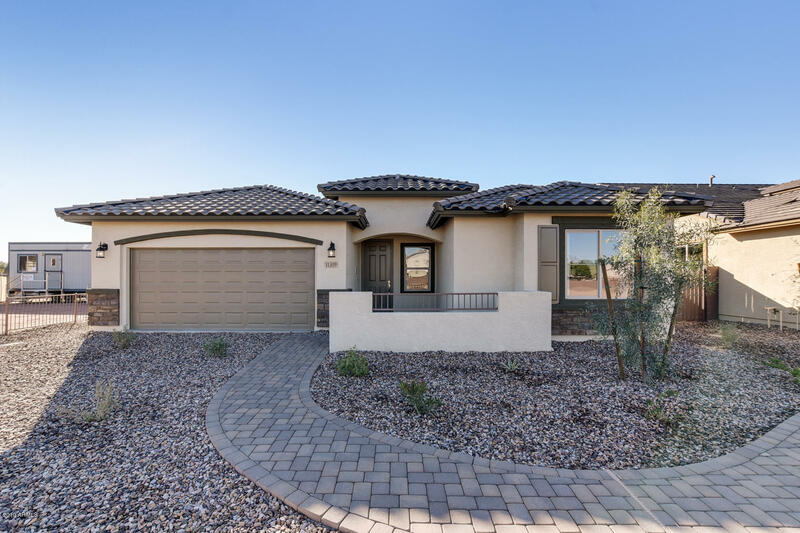 The master suite is generously sized and hosts an ensuite of double sinks, garden tub and walk-in shower.AZ outdoor living doesn't get any better with this resort "
"This Avondale two-story home offers an in-ground pool, a loft, a fireplace, and a two-car garage. Upgraded features include new HVAC, overall fresh interior paint, and newly installed carpet. Common area maintenance is part of the HOA. Home comes with a 30-day buyback guarantee. Terms and conditions apply." 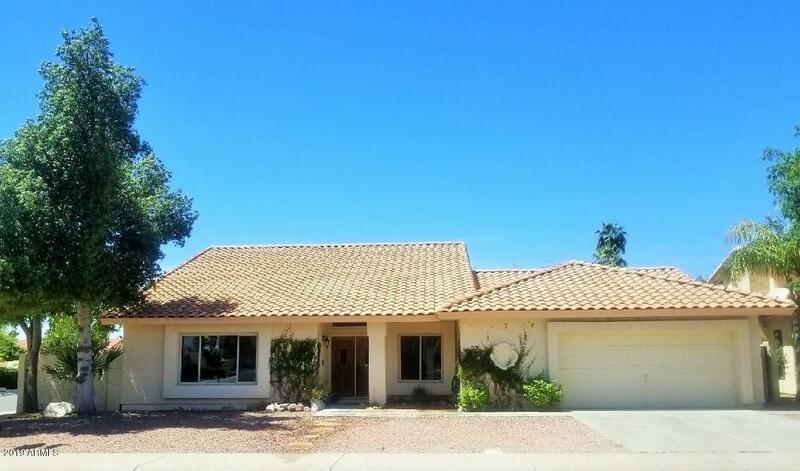 "Beautiful, well maintained home in the desirable Garden Lakes community. Refinished cabinets in the kitchen, pantry and bathroom. Dual sinks in the master bathroom with separate tub and updated walk in shower. Relaxing backyard with a sparkling saltwater pool, covered patio and beautiful landscaping. All new high efficiency windows and owned solar panels. Easy freeway access to 101 and I-10. This is a must see." "Peaceful and quiet front Lakeside view Single level split floor plan with private fishing deck & all amenities at your fingertips! Formal dining area with a fully equipped eat in kitchen & breakfast niche, Corian counter tops and all appliances included. Living room area with a real wood burning Fireplace to enjoy Movie time with friends and family! Spacious Master suite, with a private exit to backyard oasis facing the lake. 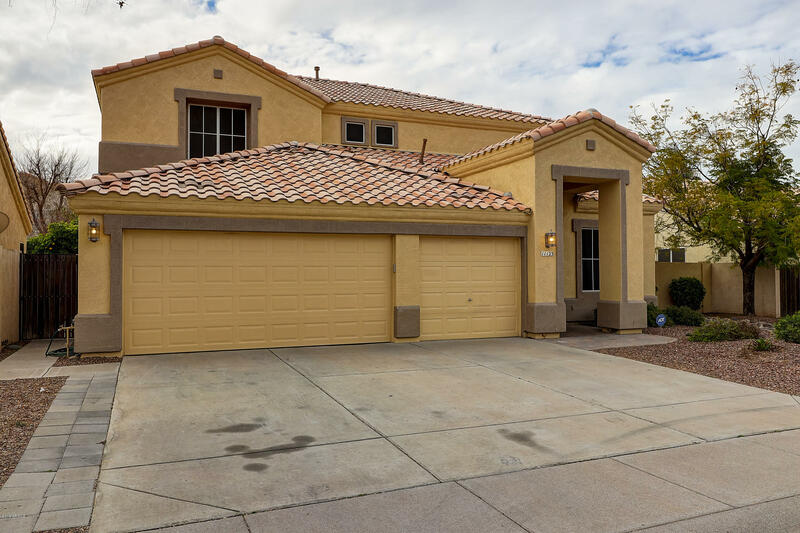 Master bath with twin sinks and desirable Separate Tub & walk in sho"
"Beautiful Avondale Home Features 5 Bedrooms and 3 full bathrooms. Tile in all the right places. Open and Spacious Formal Dining room and formal living room with 22' ceilings. Kitchen features granite Countertops and opens up to the Family room. Custom stair rails with optional gates for little ones. Large Master with double sinks and private toilet. This Home is a must see!" 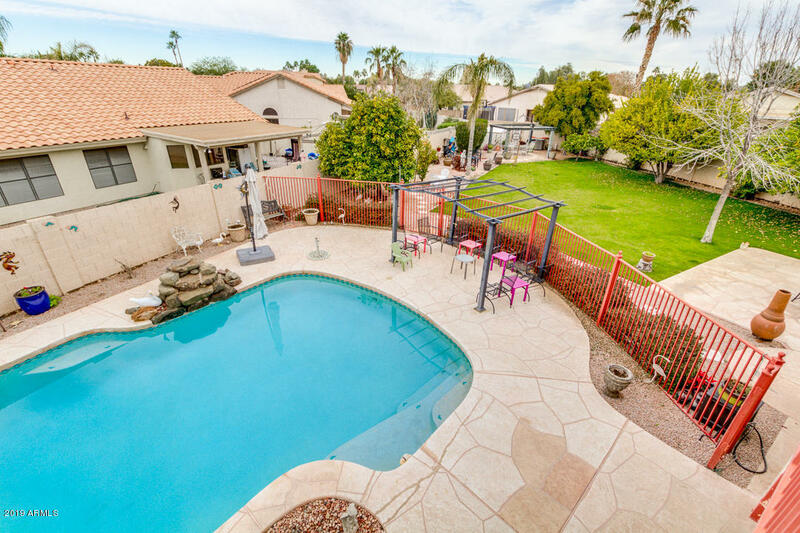 "Incredible opportunity to own this genuine property located in Avondale! Complete with gravel front yard and RV gate. 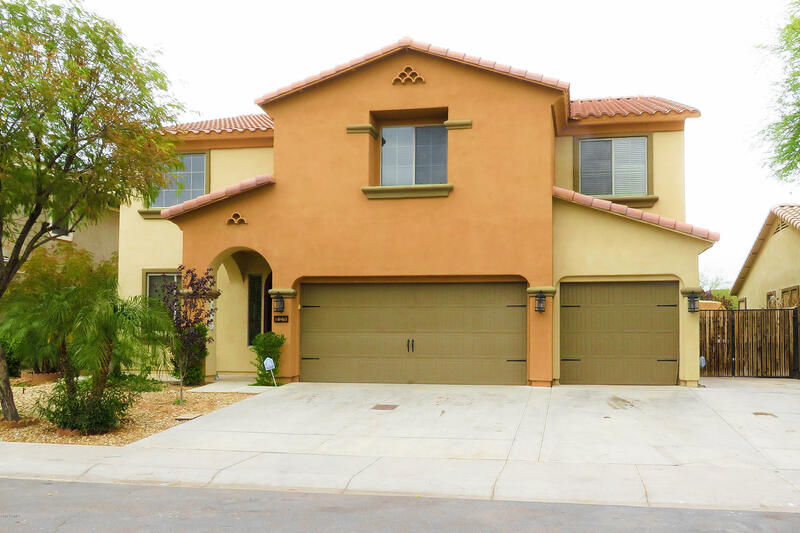 You will absolutely love this fabulous interior providing 4 bed, 3 bath, vaulted ceilings, shutters throughout,travertine tile all over down stairs area. Dreamy kitchen offers sparkling stainless steel appliances, recessed/pendant lighting, tiled back-splash, granite countertops, and centered island with breakfast bar. Bright and cheerful master suite showcases a private exit "
"Highly desirable home in beautiful Donatela. This lovely home is enhanced with several upgraded features through out which includes a spacious guest bedroom downstairs with a full guest bathroom. Open and spacious formal dining and formal living room with 22' ceilings accented with pocket windows. Brushed nickel hardware and fixtures, granite counter in kitchen and buffet. Upstairs study and loft, Sussex maple cabinets throughout, 6 panel interior doors,side entry door on single car garage, in"